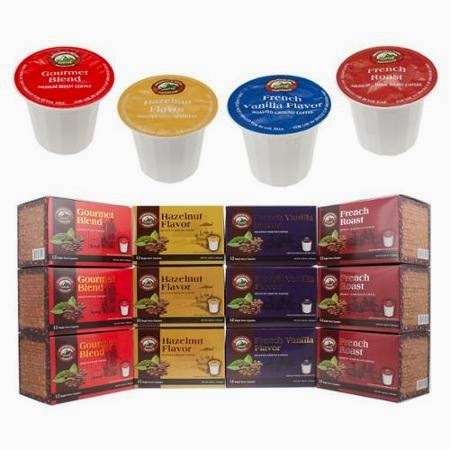 TODAY - Get 144 Mountain High Premium Single Use Coffee Pods K-Cup for $46 and Free Shipping. That's like 32¢ per pod which I haven't seen in years! Get 4 bold, unique flavors - Gourmet, French Roast, Hazelnut and French Vanilla. You'll really taste the difference with this smooth, rich, premium roast coffee! - 36 single serve capsules of 4 unique flavors - Gourmet: medium body, 100% Arabica beans - French Roast: full body, Arabica & Robusta beans - Hazelnut: rich and flavorful hazelnut taste - French Vanilla: vanilla taste of "French Quarter"
Use with Keurigs, Cuisinart, Brevile machines etc. - Made in Vietnam, 2nd largest exporter of coffee - Beans 100% hand sorted, HACCP certified - Best by February 2016 - Not compatible with Keurig 2.0 models (2014 or later) that only accept Keurig brand K-cups - Each box: 5.5"L x 3.75"W x 3.75"H, Each cups: 2" W x 1.75"